Seeing the UNESCO World Heritage Sites of Hoi An Ancient Town and My Son Sanctuary from high in the sky will be a new experience for visitors from Tet next year. The first-ever balloon flights will take to the skies from Hoi An ancient town to the nearby My Son Sanctuary (about 40 kilometers) during the upcoming Tet Festival, according to the Quang Nam's Department of Culture, Sports and Tourism. From an altitude of about 400 meters, tourists can enjoy the peaceful rural scenery of immense fields, nice beaches, Hoi An and the Cham towers at My Son on a 30- or 60-minute flight conducted by the Sai Gon Star Company starting from early next year. 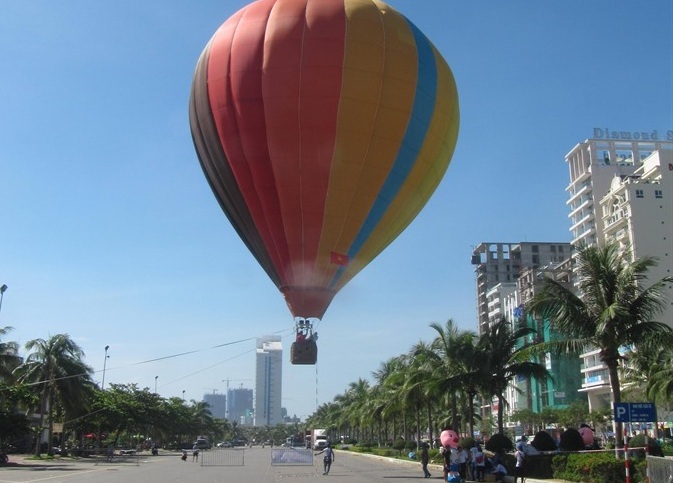 Balloon flights were featured at the biennial Hue Festival last May and at the fifth Asian Beach Games in Da Nang in October. The service aims to attract even more tourists to Hoi An and My Son. 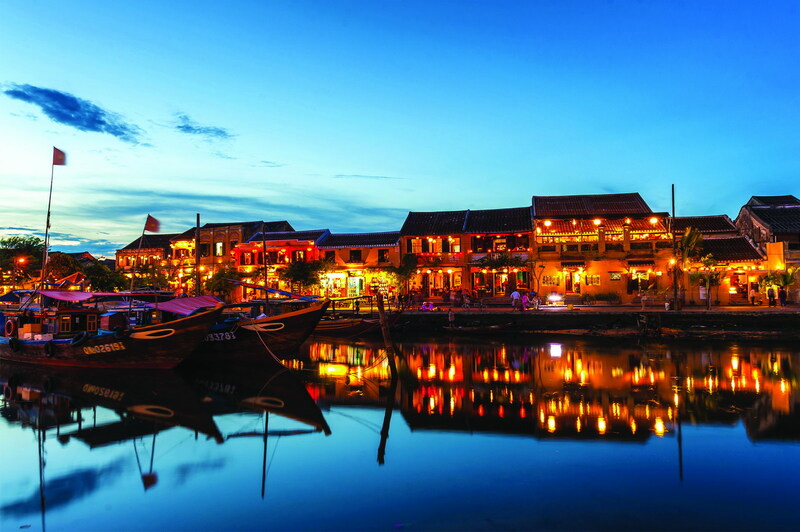 Hoi An is an old trading port that has retained over 1,000 ancient relics, such as streets, houses, temples and tombs. Its architecture is a combination of Vietnamese, Japanese and Chinese, with a little Western as well. It became a UNESCO World Cultural Heritage Site in 1999. It was listed among the 50 most beautiful places in Asia by Condé Nast Traveler, a global luxury travel magazine. Travel website TripAdvisor also placed An Bang Beach, 3 km from Hoi An, in its Top 25 beaches in Asia, describing it as “lovely” and suggesting the best time to visit is from May to September. My Son Sanctuary was also designated a World Heritage Site in 1999 for its impressive tower-temples in the Indian Hindu design. The site’s history dates back to the 4th through the 13th centuries and was the spiritual center of the Champa people. Of the 225 Cham vestiges in Vietnam, My Son possesses 71 monuments and 32 epitaphs. The temples were built into groups that basically follow the same model. Each group is comprised of a main sanctuary (kalan), surrounded by towers and auxiliary monuments. The kalan, which is a symbol of Meru Mountain (the center of the universe, where the gods live) is dedicated to Shiva. The small temples are devoted to the spirits of the eight compass points. The towers, topped with tiled, curved roofs, are stocked with offerings and sacred objects from pilgrims. The Cham temples do not have windows, so they are very dark inside. Windows are only found in the towers. Last year Hoi An and My Son welcomed about 2 million and 282,000 tourists, respectively, up 22.43 and 18 per cent against 2014.